the Globalstar GSP-1700 satellite phone for their communications across the UK leg of the world’s most prestigious bicycle road race. The organizing committee will be using 100 of Globalstar’s flagship satellite phone, the GSP-1700, to provide clear and reliable communications across the UK Stage 3 leg of the race – a new part of the Tour introduced for 2014. These will be used by members of the organising team, as well as by support and emergency crew. Taking place Saturday July 5th to Sunday July 27th 2014, the 101st Tour de France consists of 21 stages and will cover a total distance of 3,664 kilometres. For the first time, the race begins in Yorkshire in the UK, with Stage 1 travelling from Leeds to Harrogate, for a 20th Grand Départ abroad. The race then heads south with London rounding off Stage 3 on July 7th. The Tour de France will also go through Belgium and Spain. 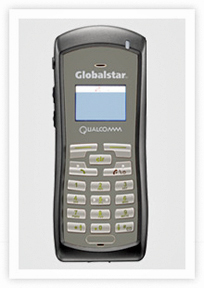 Globalstar’s satellite phones were selected for their ability to deliver clear reliable voice and data communications, including in regions where mobile reach is limited or non-existent. The agreement for the supply of satellite phones for the Tour de France was spearheaded by Global Telesat Communications (GTC), a provider of satellite communications solutions, and a key Globalstar distribution partner. Globalstar’s GSP-1700 satellite phone is a small lightweight consumer-friendly handset offering the fastest handheld data speeds available in the SATCOMs space and delivering the best voice quality in the market. Users of Globalstar solutions uniquely benefit from the world’s only second generation satellite network in orbit, offering latency-free crystal clear call quality. In January this year, Globalstar launched its pre-pay service in the European region, the lowest cost pre-paid service in the mobile satellite services (MSS) space. The pre-paid service is available in 10 different card denominations from 50 to 1,000 minutes. Customers who simply want to use the phone for themselves can use personal cards while shared pre-paid cards are for those who share their phone with colleagues or friends. In April, Globalstar launched its “Free Phones For All” campaign, an ambitious rebate program offering cash back of up to €500 on every new GSP-1700 satellite phone bought with a post-paid contract from participating dealers in EMENA (Europe, Middle East, North Africa). Customers buying the GSP-1700 can effectively have their phone for free while enjoying market-beating high quality voice and data services.